The New Material Of Lockers: Solid Phenolic Compact Laminte, HPL Locker Factory - Jiangsu Jiashida Decorative Material Co.,Ltd. How to prevent our public lockers from being harmed by the outside world during use. This not only helps to reduce the cost of the Solid Phenolic Locker setting, but also facilitates people's lives. Therefore, Jiangsu Jiashida Decoration Materials Co., Ltd. believes that we should not neglect consideration of these issues at the beginning of the locker setting. There are many reasons for the damage that can be caused to the hpl lockers during the use of the locker. However, in summary, these two aspects are more mainstream. First, the moist air affects the plates of the lockers. Because in our living environment, the air has a certain amount of water vapor. Especially for the “back to the South” and “the rainy season”, its characteristics are very obvious. Although, we can have some ways to avoid the impact of wet environments on Compact Laminate Lockers. However, these aspects are all ways to cure the symptoms. In order to fundamentally solve the moisture-proof performance, Jiangsu Jiashida Decoration Materials Co., Ltd. advises friends to use materials with better moisture resistance. Second, the wear and tear on the locker material during the use of the locker. Since the loss will be present all the time, then to minimize our losses, we only have better strength for our locker materials. 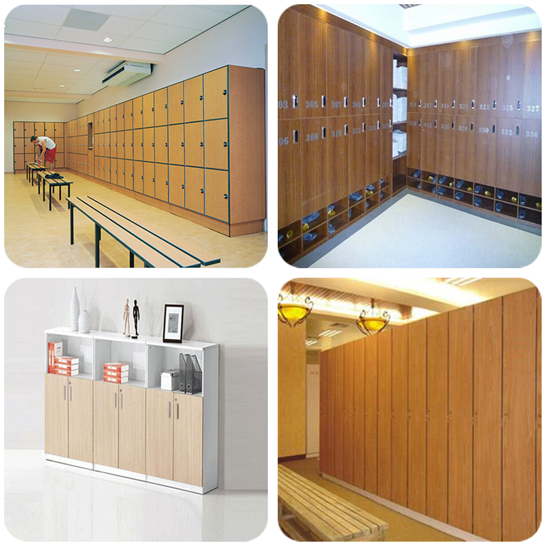 Only the strength of our locker materials will increase our lockers to be comfortable with the wear and tear. From this point of view, what kind of materials are more in line with our needs? Here, Jiangsu Jiashida Decoration Materials Co., Ltd. recommends the use of Compact Laminate Boards. Because the compact laminate board has superior performance in terms of moisture resistance and loss prevention. Brikley is a professional manufacturer of compact laminate, phenolic resin board and HPL. We provide toilet partitions, HPL locker, wall panel, table top and phenolic resin countertop. Copyright © 2018 Jiangsu Jiashida Decorative Material Co.,Ltd. Sitemap.